In the early days of poker jackpot machines, 5 reels were used. However these weren’t easy to operate so until better technology came along the tradition was to have 3 reels in slot games. However everything changes with time and now players are totally used to playing the 5 reel slot machine. By reels of course we’re referring to the vertical sections that spin away during each game. They usually come with three rows of symbols but in the ever changing world of slot games, this too is changing dramatically. The increase in the number of reels from 3 to 5 has of course had a dramatic effect on the way the slot game operates. More reels mean more paylines available, a big change from three reels and usually just one payline. Some games such as Microgaming’s ‘Game of Thrones‘ have an amazing 243 different ways to win. This also means there is more space to include a larger number of symbols in the game. With slot games having themes attached to them, this means there is more scope for the game to have several symbols that reflect that theme. For example, the BetSoft game ‘Mamma Mia‘ is packed with food related symbols. Other games such as Ash Gaming’s ‘Life of Leisure‘ has the Jack to Ace playing card symbols alongside its main theme of swimming pools and luxury cars. The theme-related symbols tend to be the high payers with the card symbols being the cherries of the 21st century. With more paylines available it also means the player has more to think about when playing each and every spin. Players now need to decide just how many paylines they want to play and the stake for each spin. Learning how to manage your financial budget when there are so many paylines being dangled like a carrot in front of you is really important. The increase in the number of reels means the game can become more complicated. Whereas the three reel games with just one payline are relatively simple to play and ideal for beginners, the 5 reel games can offer lots more to the player. The extra space means that the games now have the room to include many more features which of course makes the games more difficult to understand right away. That’s why it’s always handy to play some free games before risking your real cash balance. Whereas with the 3 reel games, the rules and pays could be included on the main screen, that simply can’t happen with the 5 reel games. 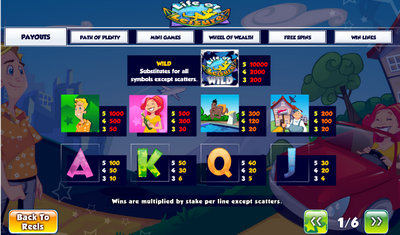 The increased space for additional symbols has seen the introduction of free spins, scatter and multiplier symbols. All this complication of the slot game means paytables now have their own page that gives full details of just how to play the game and how much you can win. Another factor that has happened due to the presence of 5 reels now means there is an increased chance of a player getting a winning combination even if they are probably just small wins. When you do get a jackpot, it can really be a high amount, as the odds of getting 5 similar symbols on one payline are much higher. 5 reel slot games really are the order of the day. They offer the player so much more even if learning to play them properly can be a bit like learning how to use a new DVD player.